Families on the go, TRD style! Toyota’s Tundra full-size pickup truck and Sequoia large SUV have long been ideal for adventuresome families in need of that unique combination of performance, utility, towing ability and comfort. For 2018, the experts at Toyota Racing Development (TRD) have developed the new TRD Sport grade for Tundra and Sequoia, offering active families an extra dose of sportier styling and performance for added fun and excitement on their next journey. In addition to the new TRD Sport grades, Tundra and Sequoia will receive new styling, convenience and safety features for all 2018 models, including Toyota Safety Sense-P (TSS-P) as standard equipment. Outdoor family fun isn’t exclusive to Toyota’s two largest truck and SUV models. For the 2018 model year, the popular RAV4 compact crossover adds a new Trail grade for young families looking for fun in out-of-the-way places. 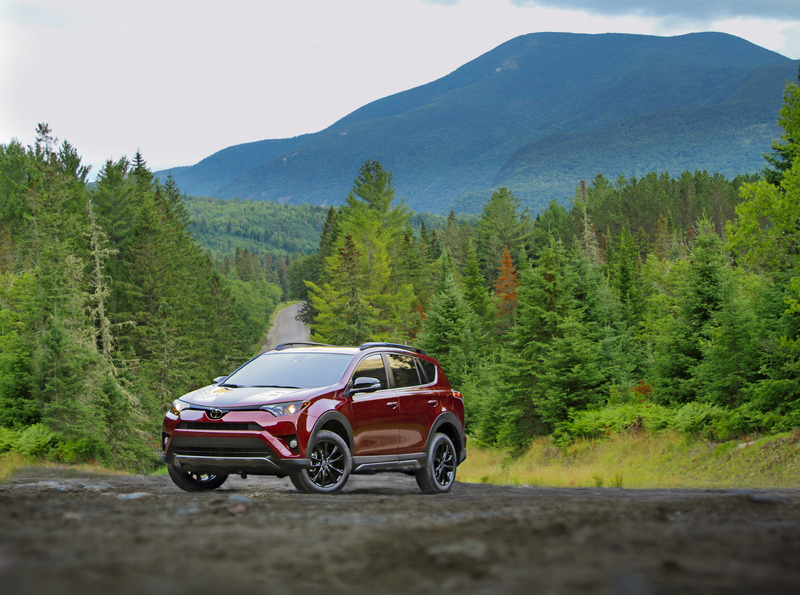 Already a fun-to-drive crossover for young families with active lifestyles, the new RAV4 Trail adds a sportier take-me-anywhere attitude for the weekend warrior. The new Tundra TRD Sport 4×4 is available in CrewMax and Double Cab configurations and powered by the proven 381-horsepower 5.7-liter i-Force V8 engine. Driving performance will be enhanced with the addition of TRD Sport Tuned Bilstein Shocks and TRD front and rear anti-sway bars. The active lifestyle-inspired RAV4 Trail will be with Dynamic Torque Control all-wheel-drive. It features a standard Tow Prep Package that includes an upgraded radiator and supplemental engine oil and transmission fluid coolers, as well as a suspension system with a higher ride height. As with all RAV4 models, the Trail grade will come standard with Trailer Sway Control (TSC), Hill-Start Assist Control (HAC), and TSS-P. Finally, the brawny 2018 Sequoia TRD Sport will be available in 4×4 models equipped with the 5.7-liter i-Force V8 engine. Road handling is enhanced with TRD Sport Tuned Bilstein Shocks and TRD front and rear anti-sway bars.